Track and manage Sales Pipeline online. BlueCamroo helps follow up every opportunity. If your business needs to manage a sales pipeline, BlueCamroo can help make sure that every Opportunity is followed up effectively and that the value of your pipeline can be properly tracked all the way through to project delivery. And because we offer an all-in-one system, your sales opportunities can easily be converted to projects at the click of a button. Just like with Leads, you can also create an unlimited number of Web-to-Opportunity forms to place on your website or digital marketing properties. Once completed, these forms will create both a new Lead and attach a new Opportunity to that Lead, or, if the form was completed by a Lead or Customer that already exists in your BlueCamroo database, a new Opportunity will be created and attached to that existing Lead or Customer. This offers you alot of freedom, especially when used in your digital marketing efforts to existing customers. You can, for example, create a new email marketing campaign to your existing customer, letting them know of a new set of services you are offering. The email will lead interested customers to a landing page, where they can learn more, and fill in a form to express their interest in a specific service, or simply to let you know they are open to be contacted. Once submitted, this new Opportunity will then be automatically created with the filled in details and attached the Customers record. For each and every sales opportunity, you’ll have the ability to add notes, attach proposals and documents, store and track tasks, calls and emails, and even add the products and prices that you are going to suggest. With all of this information at your fingertips, you’ll be ready for anything. Providing an estimated value and estimated closing date of each sale will provide managers with an idea of how much revenue they can expect each month. And when compared against which phase the opportunity is in and the probability of a sale, this data becomes even more valuable. With BlueCamroo reporting and dashboards, managers can easily track their sales pipeline from start to finish. 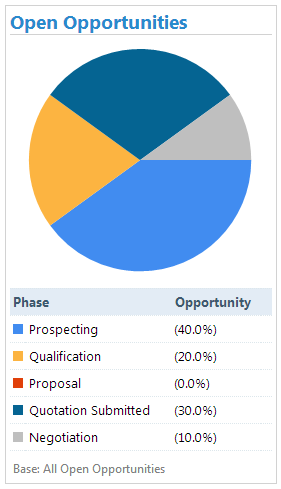 Several key Pre-Defined Opportunity Reports get you started including the Opportunity Sales Pipeline which gives you weighted sales projections as well as actual vs. estimate sales figures. Before you send out a Sales Quote, you may want to create an Estimate first to tally how much it will cost you to do the work. That cost can include total hours dedicated towards the Project, the supplies you'll use, and any other espenses you'll run into. Estimates must be attached to their own Sales Quote (you may want to send more than one) but your lead will not see them, as they are internal. After the pitch, your lead is going to want to know what the bottom line cost is. 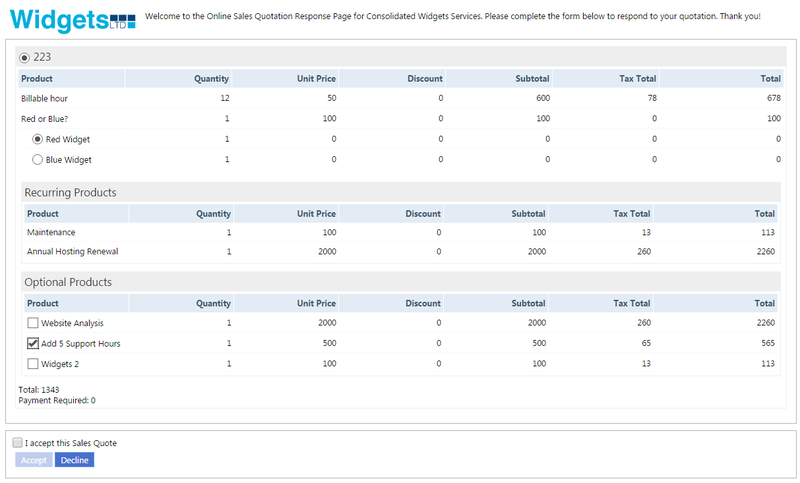 BlueCamroo easily generates and submits a Sales Quote to the client based on your Opportunity details. And if the client likes what he or she sees, they can approve the work in one of three ways; if you grant them access they can log into the BlueCamroo intranet to look over details and accept the Quote, you can send them an email from BlueCamroo containing a link to a page letting them view the Quotes details as well as accept or reject it, lastly if your client approves the Sales Quote in person or in any other non-electronic way, you can manually change the Sales Quotes status to accepted. 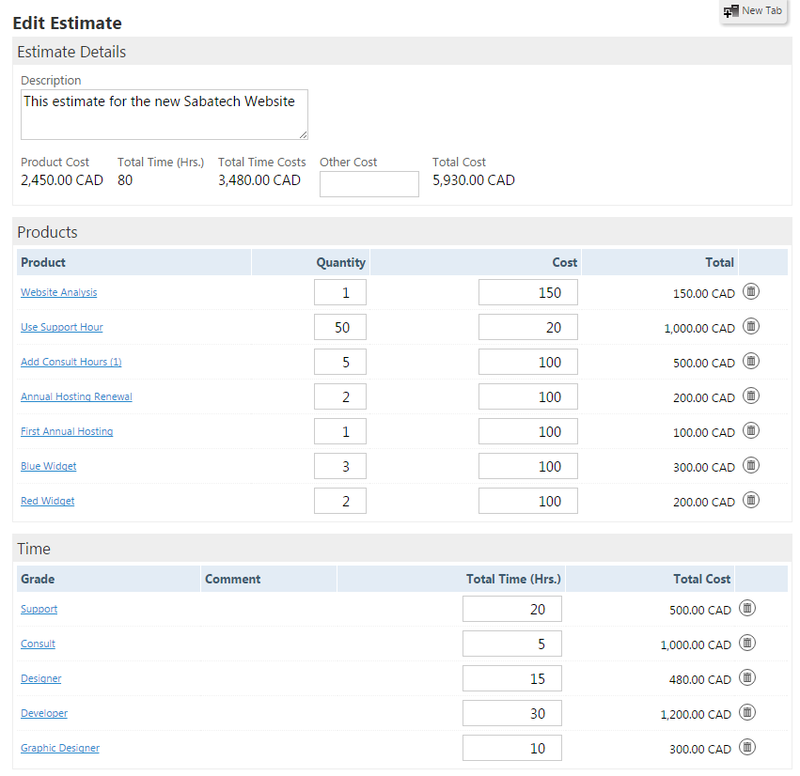 There may also be a number of scenarios you may need to send multiple alternate Sales Quotes from which your customer could choose the best option for them, or you may wish to give your customer several options to choose from within a single Sales Quote (such as selecting one out of a few alternate products/services, or choosing a number of products/services from a list). BlueCamroo gives you the tools to easily set up your Sales Quotes to handle either of these (or even more complex) scenarios. Once the Quote has been accepted, the Opportunity can be converted to a Project and if you attached an Estimate to the Sales Quote that was accepted it will be automatically converted into a Budget. Congratulations, you’ve closed a sale! Now what? In most cases if you were using multiple applications to run your business, you’d need to sit down for a day and transfer all of the information. Not in BlueCamroo! Because everything is all tied into one great solution, you can easily convert that closed sale into a new project and have all of the important information gathered during the sales process go along with it (like accepted sales quotes)! Now that's a great advantage!